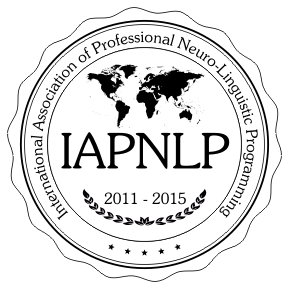 The IAPNLP emerged in 2011 as an idea, the concern of different professionals, united by their interest in the professionalization of Neuro-Linguistic Programming. The constant changes that occur in our environment, change the spheres of influence and benefits offered by Neuro-Linguistic Programming. In this way they arrive professionals demand more and better benefits to offer its customers. This evolution also is giving in Neuro-Linguistic Programming, leading him go adapting the training they started pushing those who follow and those who are coming faster and faster and harder. Some of the best NLP professionals have combined their skills Neuro-Linguistic Programming with their experiences professions, in order to provide an advantage in their services. The IAPNLP contributes to the professional granting a differentiation in recognizing in applying these skills in your profession, providing accreditation and certification that recognizes it as such. The IAPNLP also holds out the prospect of growing, spreading NLP worldwide and with the determination to open the language or territorial boundaries that may arise along the way. And for this we have with you if you want to join us because we know that you, will go further.